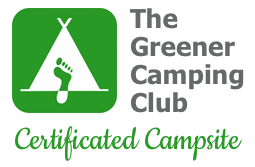 Under Pembrokeshire Coast National Park planning rules, we now operate as a Greener Camping Club (GCC) Certified Site. This means that our accommodation may only be used by GCC Members. Membership costs just £10.00 per membership year*. If you book just the Shepherd’s Hut, one of the occupants must join the GCC when booking. If you book the Shepherd’s Hut and the Pod, two people must join. If you book the Shepherd’s Hut, the Pod and the Bell Tent, then three members of the party must join the GCC. Children under 18 do not need to join the GCC. Membership(s) will be included in your booking fee and are non-refundable. Within a few days you will receive an email from us containing your membership number, card etc. *The membership year runs from 1st January to 31st December. For campers who join on or after 1st September, their membership is valid until 31st December of the following year.